If you are thinking about selling your business there are a number of options open to you; private sale to a third party buyer, handing the business over to family, or simply winding up the business altogether. However one popular option is for a Management Buyout (MBO). In a nutshell a Management Buyout is when the current management team of company works together to buy either a total or a majority stake in the company, thus buying out the current owner and taking control of the company themselves. MBO’s can occur in companies and businesses of any size or any industry, and can be simply used to buy the existing owners out of a business but can also be used to break a certain department or arm of the business away from the main operations, or even to save the company from administration. As with most things is life - and business - there are a number of advantages and disadvantages to Management Buyouts, and both the process and any potential ramifications should be thought through carefully before an MBO is instigated. 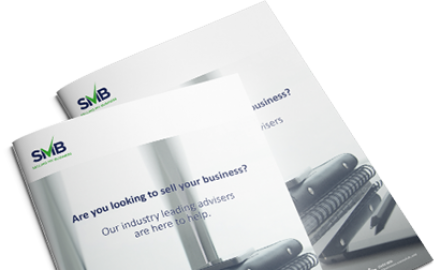 The business sales experts at Selling My Business have over 30 years’ experience in the business sales industry and will take the time to get to know you and your business before providing expert and impartial advice regarding whether an MBO is the best option for you. Contact us to find out more. Rather than having to invest significant amounts of time and energy (not to mention money) into marketing your business in the hopes of finding a suitable third party buyer, with a MBO your buyers are already on your doorstep. This means that MBO’s are usually quicker, cheaper and easier. The contracts and sales process itself for MBO’s are also usually much simpler as the buyers already have intimate knowledge of the company and so minimal due diligence is required. As you are selling to internal buyers, confidentiality surrounding the sale can be much more easily maintained. Not only can this ensure the continuation of confidence in the business by clients, suppliers and staff, it also means that potentially sensitive company details do not have to be divulged to external parties, which always carries an element of risk, even if they have signed a Non-Disclosure Agreement. In general, companies purchased through a MBO have a higher chance of ongoing success and profit, than those that have been bought by an external buyer. This is normally attributed to the fact that the new owners already have an in-depth knowledge of the business and so are able to hit the ground running and often swiftly implement organisational and procedural changes that they have identified the need for and planned for several years prior to the MBO. It is also easier to maintain relationships with key clients and suppliers that can be vital to the success of the business. In many cases the current management team are not able to raise enough capital to fund an MBO themselves. This is generally due to lack of personal wealth and/or the business experience required to raise high enough levels of personal funding. In these cases funding is often sourced from banks or private equity firms. However this can result in large amounts of debt being amassed at the very beginning of the ownership which can increase pressure on the business to perform. Also, especially in the case of private equity firms, this can change the dynamics of the ownership team with there being an extra external party at the table meaning that the new owners could still end up being answerable to someone after all. In many cases the incumbent management team may be highly experienced in running a business, but less so in the very different field of owning one. It is often difficult to quantify exactly what qualities are required to be a successful business owner, however it tends to become quickly apparent if the new ownership team is not in possession of them. There have been some instances of the incumbent management team taking steps to reduce a company’s profitability in the run up to a Management Buyout, in hopes of reducing the purchasing price. Therefore the departing owner must still ensure that they are keeping a very close eye on both the business and the sale before their departure. Striking the right balance between letting the new owners take the reins and ensuring that vital company information and contacts are not lost with the departure of the current owner can often be difficult, especially if the current owner is maintaining an equity stake. It is often prudent to engage the services of an external professional to draw up to terms of any handover period to ensure that this can be managed smoothly and effectively. To find out if a Management Buyout is really the best option for your business sale, contact the knowledgeable team at Selling My Business today. Next Article: When Is The Right Time To Sell Your Business? Selling a business? Here are 10 key questions you need to ask to ensure you’re getting the right advice. For helpful guides on selling a business and to hear about our FREE business-selling seminars, simply fill out the form below. We NEVER share your contact details. All emails include an unsubscribe link. You may opt-out at any time. Thank you for submitting your interest in our seminars.